We talked about the Catalyst 4500E and 4500X Supervisors before, and also wrote more topics related to Cisco 4500-E and 4500X series, such as the Catalyst 4500 Series Line Cards, Catalyst 4500-E & Cisco 4500 Series Models, power supplies for 4500-E & Cisco 4500X Series, etc. So in this article we will talk about the 10 GbE on Catalyst 4500E & 4500X Series, which is a hot technology offering a more efficient and less expensive approach to moving data on backbone connections between networks. Why should we care about 10 Gigabit Ethernet? We know that growth in port deployments is accelerated by growth in desktop gigabit ports, which affect uplink ratios as well as new applications such as IP video and industry-specific applications such as digital imaging. 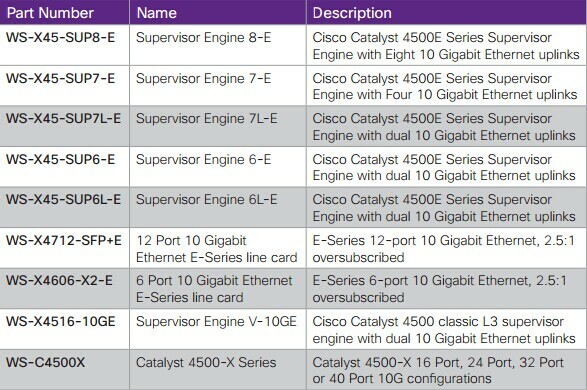 The Cisco Catalyst 4500E Supervisor Engine 8-E, 7 E, Supervisor Engine 7L E, Supervisor Engine 6 E, Supervisor Engine 6L E, Cisco Catalyst 4500X Series, Cisco Catalyst 4500 Series Supervisor Engine V-10GE, or Supervisor Engine II-Plus-10GE with two line-rate 10 Gigabit Ethernet uplinks in a modular chassis allow customers to scale their access layer for future applications. What’s more, the 12-port and 6-port 10 Gigabit E-Series line cards are a great enabler to scale enterprise distribution or commercial cores. They can start with the gigabit Small Form-Factor Pluggable (SFP) (using TwinGig converter modules on the 6-port E-Series) and migrate to the 10 Gigabit Ethernet when needed, without replacing the supervisor engine or line card. What is 10 Gigabit Ethernet Technology? It is a telecommunication technology that offers data speeds up to 10 billion bits per second. 10 gigabit Ethernet (10-Gigabit Ethernet) is also known as 10GE, 10GbE or 10 GigE. Like gigabit, 10 Gigabit Ethernet is full duplex. Transmission is limited only by the length of the link. There are no packet collisions in a full-duplex link; the link distances are therefore determined by optics and not by the diameter of an Ethernet collision domain, making the technology applicable to enterprise access-layer uplinks, data center, and Metro Ethernet deployments. The following table summarizes the 10 Gigabit Ethernet physical interfaces, available distance supported, and typical deployments. The Cisco Catalyst 4500E and 4500X Series 10 Gigabit Ethernet products make use of Small Form-Factor Pluggable plus (SFP+) on 12-port E-Series linecard or smaller X2 transceivers on 6-port E-Series linecard. The X2 transceivers are 100 percent optically compatible with XENPAK and SFP+ optics. •Lower Latency: Latency is a function of wire speed. Aggregated Gigabit Ethernet links have a wire speed of 1 Gbps versus 10 Gigabit Ethernet links with a wire speed of 10 Gbps. 10 Gigabit Ethernet delivers lower latency. •Large Stream Support: The traffic aggregated over Gigabit Ethernet links is limited to 1-Gbps streams. In some cases the link-aggregation distribution algorithm may map more than one stream to the same link, resulting in congestion and dropped packets. 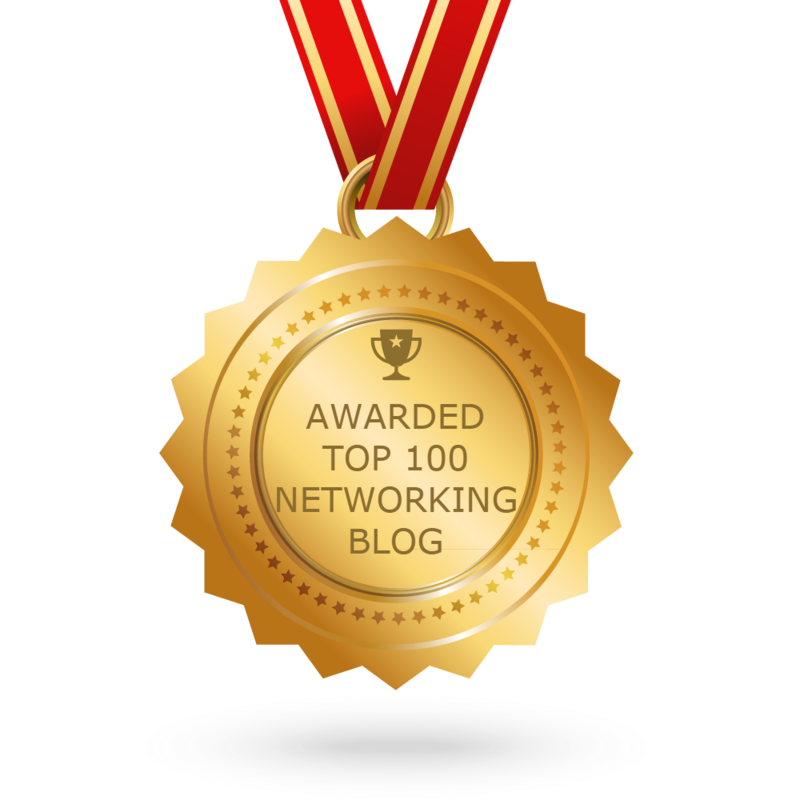 A single 10 Gigabit Ethernet link can support multigigabit streams and does not have link-aggregation distribution algorithm issues. •Less Fiber Usage: A 10 Gigabit Ethernet link uses fewer fiber strands compared with Gigabit Ethernet aggregation, which uses one fiber strand per Gigabit Ethernet link. This 10 Gigabit Ethernet advantage reduces cabling complexity in data centers and more efficiently uses existing fiber cabling in campus environments, where laying additional fiber could be cost-prohibitive. Gigabit Ethernet-to-desktop deployments amount to millions of ports per quarter. This broad adoption significantly increased the oversubscription ratios of the rest of the network. 10 Gigabit Ethernet can help bring these oversubscription ratios back in line with network-design best practices. The Supervisor Engine 8-E, 7-E, Supervisor Engine 7L-E, Supervisor Engine 6-E, Supervisor Engine 6L-E, and Supervisor Engine V-10GE, as well as the Catalyst 4500X standalone series provide this capability for high-performance access-layer deployment. The Cisco Catalyst 4500E Series aggregates up to 96 oversubscribed (2.5:1) 10 Gigabit Ethernet connections from access switches for cost-effective distribution layer deployments. Robust, intelligent network services are crucial to successful deployment at the distribution layer. The Catalyst 4500X Series aggregates up to 40 10 Gigabit Ethernet ports for a total forwarding capacity of 800 Gbps. The Cisco Catalyst 4500E Series provides centralized, line-rate services such as quality of service (QoS), multicast, and IPv4 and IPv6 routing. QoS imposes prioritization on traffic as it crosses the switch during periods of congestion and guarantees minimum bandwidth to specific applications while controlling jitter and latency. When distribution layer switches aggregate connections from hundreds of access layer devices, reliability is of paramount importance. The Cisco Catalyst 4500E Series provides In-Service Software Upgrade (ISSU) to allow routine maintenance activities to take place with less than 200 milliseconds of disruption to traffic. With ISSU a complete software upgrade can take place while IP phone calls are crossing the switch. In smaller commercial class deployments, the core and distribution layers of the network are often combined or collapsed into a single layer. In deployments such as these, high-speed connection to other core devices and core services such as Border Gateway Protocol (BGP) are vital. The Cisco Catalyst 4500E Series provides upto 8 wire-speed 10 Gigabit Ethernet ports for transport services required of a core device. Generous ternary content addressable memory (TCAM) resources, up to 256,000 IPv4 routes, help ensure scalability and services.